The Single-Shingle SCAR-H / 7.62 magazine pouch is designed to carry one SCAR Heavy or 7.62 magazine. This magazine pouch uses a bungee shock cord to keep the magazine in place. Two rows of PALs webbing will allow the user the option of stacking another MOLLE compatible pouch on the front of the magazine shingle. 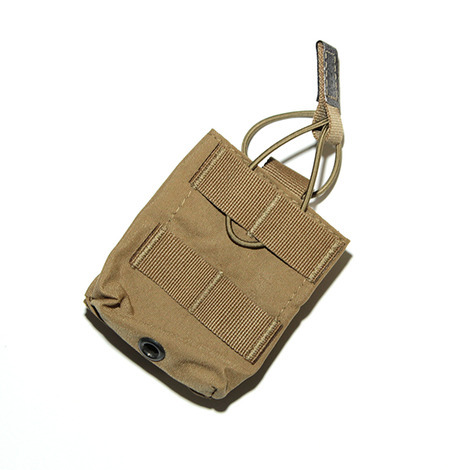 This magazine pouch uses two L-straps to quickly attach and detach from IBA's and LBE's.